On Hybrid DVRs like the DVR Series PC-based machines you basically get free inputs too. For example, if you purchase a DVR800 DVR which is our 8 camera DVR, it can actually hold 16 cameras. You have 8 BNC inputs for analog cameras and you can also connect up to 8 IP cameras. With a processor upgrade you can extend this up to 16 IP cameras. 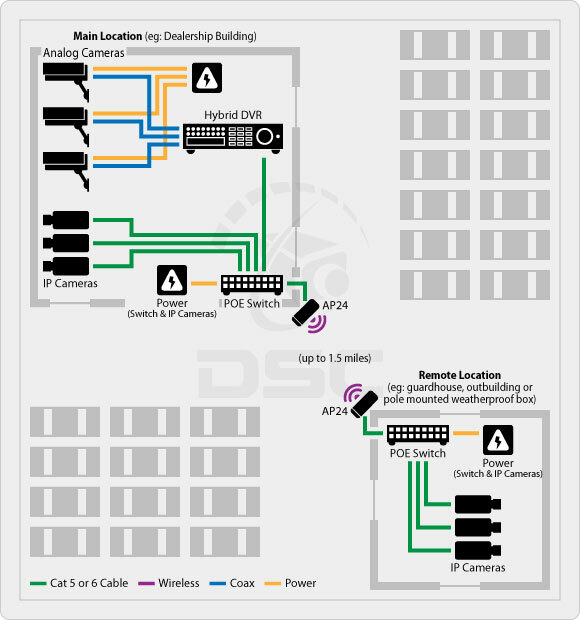 Therefore an 8 port DVR functions as a 24 port DVR! When adding IP megapixel cameras to a system you always have to consider hard drive and bandwidth capacity. Analog cameras record at a relatively low resolution (CIF 352x240), while megapixel cameras will be much higher (as much as 5mp 2560x1920). The DVR Series PC-based machines have you covered here too. The DVR Server case alone can hold up to 15TB of storage and if you need more we offer theDTERASERVER15. This 15 bay hard drive storage solution will hold another 45 terabytes (assuming 3TB hard drives). A Hybrid DVR like the DVR Series PC-based machine is a great solution for a job site that is growing or might expand down the road. 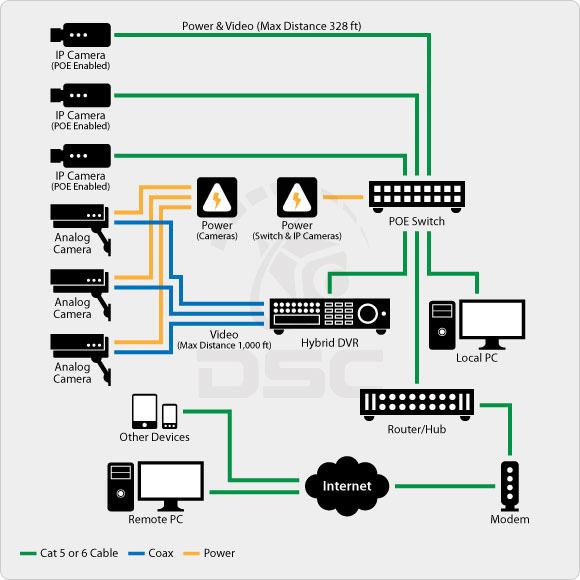 A hybrid DVR supports multiple analog and IP cameras providing the advantages of both of these surveillance technologies. Feel free to call us if you would like help designing a hybrid or any other type of security camera system. We are always happy to help.